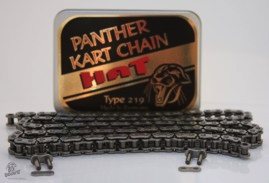 Fastech-Racing carries a full line of #219 kart racing chains including DID, RK, CZ, Copperhead & HTK Panther chains. DID 219 HTZ SDH are an upgrade of DID 219 HTM DHA. 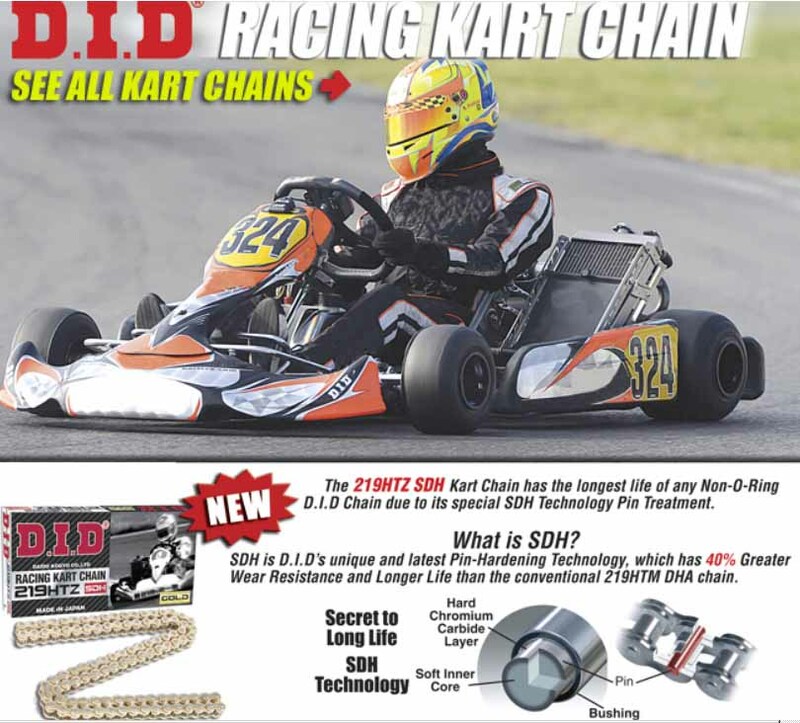 DID 219 HTZ SDH karting chains have the longest lifetime and lowest friction of all produced 219 DID chains. 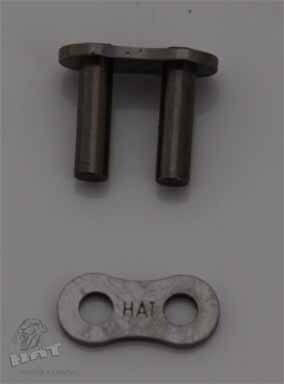 DID 219 HTZ SDH are the best non O-ring karting chain ever made. 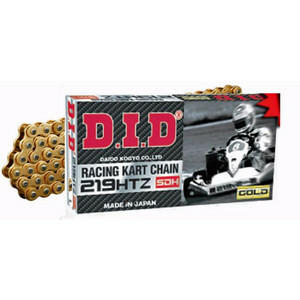 DID has redesigned the 219-V2 Racing Kart Chain to meet today's higher engine performance and endurance demands. DID 219-V2 features our race proven O-Ring seal that locks in DID's specially formulated grease and guards against the invasion of dirt particles SDH hi-tech pin treatment creates a chain with superior wear resistance. 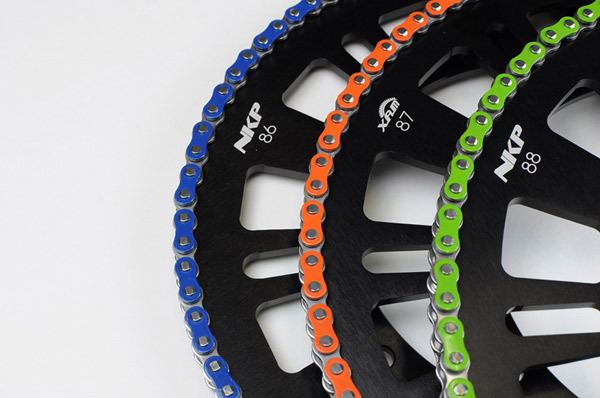 Looking for an incredibly durable HIGH QUALITY non-o'ring chain? Look no further...these will definately outlast the sprockets! Formally known as the HTK (Hamburg Trading Company) Panther. Fastech-Racing tested this chain using a PRD Fireball TAG package and racked up OVER 50+ hours and two full rebuilds on ONE chain, believe it or not! PLEASE NOTE: Chain is fully assembled as a 108 link chain, spare master link not included. Looking for an incredibly durable HIGH QUALITY non-o'ring chain? Look no further...these will definately outlast the sprockets! Formally known as the HTK (Hamburg Trading Company) Panther. Fastech-Racing tested this chain using a PRD Fireball TAG package and racked up OVER 50+ hours and two full rebuilds on ONE chain, believe it or not! PLEASE NOTE: Chain is fully assembled as a 110 link chain, spare master link not included. Looking for an incredibly durable HIGH QUALITY non-o'ring chain? Look no further...these will definately outlast the sprockets! Formally known as the HTK (Hamburg Trading Company) Panther. Fastech-Racing tested this chain using a PRD Fireball TAG package and racked up OVER 50+ hours and two full rebuilds on ONE chain, believe it or not! PLEASE NOTE: Chain is fully assembled as a 112 link chain, spare master link not included. Looking for an incredibly durable HIGH QUALITY non-o'ring chain? 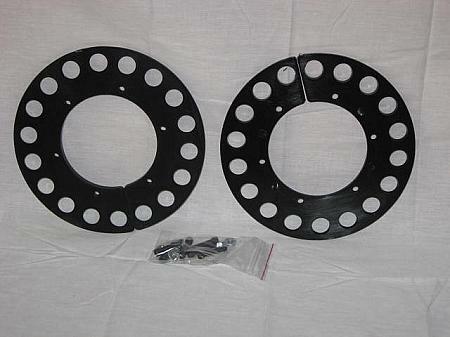 Look no further...these will definately outlast the sprockets! Formally known as the HTK (Hamburg Trading Company) Panther. Fastech-Racing tested this chain using a PRD Fireball TAG package and racked up OVER 50+ hours and two full rebuilds on ONE chain, believe it or not! PLEASE NOTE: Chain is fully assembled as a 114 link chain, spare master link not included. Spare master link to resize the Panther chain. ***Spare links are not recommended to be re-used. Blue, Orange (CRG, Intrepid, Sodi colors) and Green (Tony Kart) colors now available.